Minister Mary Mitchell O’ Connor and Minister Pat Breen announce winners of Ireland’s Best Young Entrepreneur (IBYE) competition at Google European HQ, Dublin. 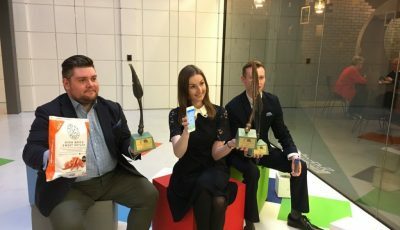 A 26-year-old physiotherapist from Dún Laoghaire-Rathdown who developed an app that is transforming the lives of thousands of people with Parkinson’s disease all over the world has been named as Ireland’s Best Young Entrepreneur (IBYE). Ciara Clancy of Beats Medical wins a €45,000 investment fund through the Local Enterprise Offices after scooping the coveted title at the IBYE national final. Minister for Jobs, Enterprise and Innovation Mary Mitchell O’Connor, T.D., made the announcement in front of 360 guests at the IBYE national final held at Google’s European Headquarters today, Sunday 5th March, 2017. The competition, which is supported by the Department of Jobs, Enterprise and Innovation and Enterprise Ireland and run by the 31 Local Enterprise Offices, attracted entries from over 1,800 18-to-35-year-olds, showcasing some of the country’s best and brightest business talent. In addition to becoming Ireland’s Best Young Entrepreneur, Ciara won the ‘Best Established Business’ category. Ciara, who is passionate about improving healthcare through technology for people with neurological conditions, is providing individually tailored physiotherapy, speech and language and occupational therapy exercises through mobile phones in 40 countries. 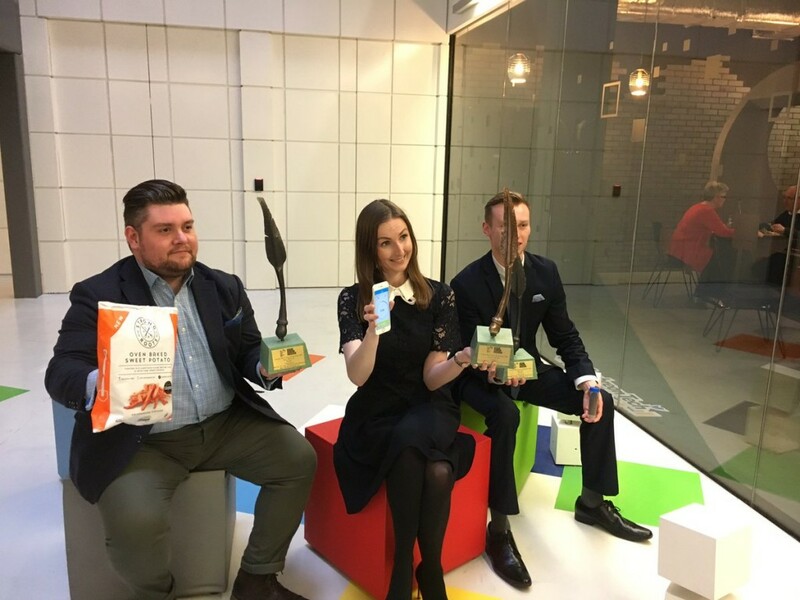 Meanwhile Alvan Hunt (age 26) of Hexafly in Meath won the ‘Best Business Idea’ category while the winner of the ‘Best Start Up Business’ category is Samuel Dennigan (age 31), of Strong Roots in Dublin City. Hexafly uses cutting-edge biotechnology to find smart ways to feed the planet using the by-products of insects, while Strong Roots is providing new healthy alternatives in the frozen food sector. The ‘Best Promotion of Business On-Line’ Google award went to Richard Barrett (age 27) of Pundit Arena in South Cork. The three category runners-up were Damien Mason (age 35) of Flexibod in Clare in the ‘Best Business Idea’ category, Roisin Hogan (age 35) of HIRO by Roisin in Louth in the ‘Best Start-Up Business’ category and Heinrich Anhold (age 35) of StableLab in Sligo in the ‘Best Established Business’ category. Today’s judging panel was chaired by Paddy Flynn, Director of Trust and Safety with Google. The other members of the judging panel were Eugene Forde, Department of Jobs, Enterprise and Innovation, Orla Martin, Head of Enterprise, LEO Offaly, Niall O’ Donnellan, Enterprise Ireland, Brian Crowley, CEO, TTM Healthcare and Sarah Doyle, CEO, Kinesense. Broadcaster Claire Byrne acted as MC. Already through the competition, 180 entrants have won investments of between €3,000 and €15,000 each from their local LEO. Today’s winners and runners-up will share €100,000 in investment funding. The IBYE national final takes place on the opening day of Local Enterprise Week, which runs nationwide through Local Enterprise Offices until March 10th. Information on the supports available to entrepreneurs through the Local Enterprise Offices is available through www.ibye.ie and www.localenterprise.ie. Photography Note (no reproduction fee) Mark Stedman of Stedman Photography has been commissioned to syndicate reproduction-free imagery from the IBYE National Final. Pictures will be available from 16.30 on 05/03/2017. Videography Note (no reproduction fee) Clean feed file will also be available from this event, through Joe Keogh from 19.00 on 05/03/2017. – Co-ordinated by all 31 Local Enterprise Offices across the entire Local Authority Network. Supported by the Department of Jobs, Enterprise and Innovation and Enterprise Ireland. Overall Winner: Supported by LEO Dún Laoghaire Rathdown: Ciara Clancy of Beats Medical (age 26). Wins a €20,000 investment fund for clinching the overall award in addition to a €25,000 investment fund for winning ‘Best Established Business’ category (total of €45,000). Beats Medical has invented an app that provides individually tailored treatments for people with Parkinson’s Disease, helping them take control of their illness by addressing mobility, speech and fine hand movement issues. The “metronome” therapy provides beat or soundwave that controls movement in Parkinson’s disease, helping address mobility symptoms of the condition which directly impacts around 8,000 people who have Parkinson’s in the Republic of Ireland. An estimated 10 million people worldwide are living with Parkinson’s disease. The exercises delivered through the Beats Medical app are all based on clinically proven treatments currently available hospitals. Best Business Idea Category (pre-trading) Winner: Supported by Local Enterprise Office Meath: Alvan Hunt (age 26) of Hexafly. Wins €15,000 investment fund (in addition to County Final investment fund). Hexafly is using cutting edge biotechnology to find smart ways to feed the planet. It is converting by-products from insects into valuable animal feed compounds such as protein, oil, fertilizer and bioplastics. Flexibod has developed the “Agilis Chair”, a seat which reduces muscle tension and increases mobility after just 20 minutes of sitting. It gives people back the freedom of movement they had when they were born, and is especially beneficial for deskbound athletes. Strong Roots is developing healthy, premium, and delicious alternatives to the ‘same old, same old’ frozen food options usually found in the freezer section of supermarkets. Its flagship product is oven-baked sweet potato chips, popular thanks to the crispy texture and taste. Hiro by Roisín is serving up delicious, healthy Japanese and Asian inspired streetfood, unlike anything else on the market. The carbohydrate free and low calorie noodles and pasta dishes are made from a special vegetable flour that eliminates high calories, without comprising on taste and satisfaction. Winner: Supported by Local Enterprise Office Dún Laoghaire-Rathdown: Ciara Clancy (age 26) of Beats Medical. Wins €25,000 investment fund (in addition to €20,000 for winning ‘overall title’). StableLab is a revolutionary, hand-held blood test that helps vets detect infections in horses in minutes, even before physical symptoms are apparent. The test is 50 times more sensitive than a thermometer. Pundit Arena is a sports media platform that empowers sports fans to become paid journalists through a unique revenue sharing model known as the Hit List. The Hit List is a live league table that enables writers to accumulate points, and earn cash and rewards.